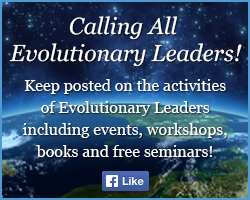 Calling All Evolutionary Leaders in Service to Conscious Evolution! Together, we can accelerate the evolution of human consciousness and co-create the future. Are we ready to step into our power and take an Evolutionary Leap? Science is getting closer to producing a theory of everything. This was the premise of the First International Symposium on the New Science Paradigm, "The New Akasha Paradigm in Science and its Application in Physics, Medicine, and Consciousness Research,” presented by the Akashic Science Foundation and The Laszlo Center for Transition World Studies in Collaboration with Guna S.p.a. The symposium, which took place in Milan on March 29-30, 2014, featured world-renowned scientists and researchers including Evolutionary Leaders Ervin Laszlo and Jean Houston. Drawing on anomalies and advances in cosmology, quantum physics, science, medicine, biology, spirituality, and consciousness research, Ervin Laszlo and the conference speakers shared how the discovery in physics of the zero point energy field, is also the discovery of a universal information field. Seers, saints, mystics, and sages have long maintained that an interconnecting cosmic field exists at the roots of reality that stores and conveys information, a field known as the Akashic. Speaker Patrick K. Drouot shared that athletic and shamanic experiences of consciousness go to a “zone” where time doesn’t exist anymore. They are able to enter windows to the other side, where levels of perception and possibilities are far beyond our ordinary consciousness and ability…a place where everything collapses into a field that is connected. In this field, it is possible to access all information and travel simultaneously in the past, present and future. Quantum scientists recently discovered a new area of time and space called the Quantum Vacuum, which is a super-dense cosmic frictionless medium that carries light and all the universal forces of nature. Ervin Laszlo, in his book, Science and the Akashic Field, shows that it may not only be a super-dense sea of frictionless energy but also a sea of information conveying the historical experience of matter. Dr. Laszlo believes that the Quantum Vacuum essentially, "generates the holographic field that is the memory of the universe." This Quantum Field consists of a subtle sea of fluctuating energies from which all things arise: atoms and galaxies, stars and planets, living beings, and even consciousness. This zero-point Akashic field is not only the original source of all things that arise in time and space--it is also the constant and enduring memory/library of the universe. This field holds the record of all that has ever happened in life, on Earth, and in the cosmos and relates it to all that has yet to happen. It is essentially what helps a universe know how to become a universe, how plants know how to be plants, how humans know how to become human. The informed universe supports our intuition of the inter-connectedness of all. This field is like a hologram that is imprinted with all that is, all that was and all that ever will be…therefore it contains all the potentials for our future. The recent announcement from CERN in Switzerland about the demonstration of the Higgs Boson lends more support to the existence of a field that connects all consciousness and the entanglement that makes evolution possible. If this universal energy field is written with our thoughts, beliefs, actions and intentions, then it would be reasonable to believe that it can be accessed consciously. If it can be rewritten consciously, then many of the past and traumatic events we hold in the Akashic Field could be liberated and thus increase the energy for positive potentials, not only in an individual’s life but also in our world. Dr. Jean Houston emphasized that we are currently in a time of a great growth in culture and consciousness…a paradigm leap of evolutionary accelerators. With these new paradigms, including the Akashic Paradigm, come new possibilities that we did not have before. These radical shifts in perspective awaken us to who we are. They help us to become the possible human. She stressed that the Akashic Field is a high sensory field. If we could enter that field, the potential for what can happen is vast. What comes out of this field gives us energy, direction, life force and helps us connect into the flow of the entire universe. By tapping into this wisdom of creation that is available to us, our human capacities will expand--we will become a body of deep knowing, go beyond previously set limits and overcome the illusion of separation. Wisdom in Action, a California Bay Area non-profit organization presented the fourth Unsung Heroes of Compassion awards on February 23, 2014 at the Ritz Carlton hotel in San Francisco, California. This event is a celebration of the extraordinary effort of 51 individuals from around the globe who work to alleviate the suffering of others without expectation of reward. 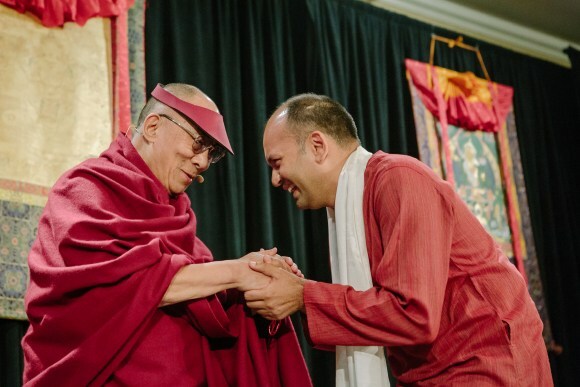 In addition to their acknowledge-ment by His Holiness the Dalai Lama, the event is a call to action—a reminder that the well-being of our communities and, in fact our world, is ours to shape through our own daily acts of kindness and compassion. The diverse honorees were men and women representing different faiths and 25 countries of origin. The characteristics they share include kindness, quiet dedication to others and belief in the importance of caring for our underserved brothers and sisters. Evolutionary Leader Nipun Mehta, who accepted the award on behalf of ServiceSpace, is a promoter of “giftivism—the practice of radically generous acts that change the world.” He advocates for four key shifts he believes giftivism can make in society, from “consumption to contribution, transaction to trust, isolation to community, and scarcity to abundance.” His goal is to awaken the inner compassion and generosity that lives in each human being. The Association for Global New Thought, led by Evolutionary Leaders Dr. Michael Bernard Beckwith, Rev. 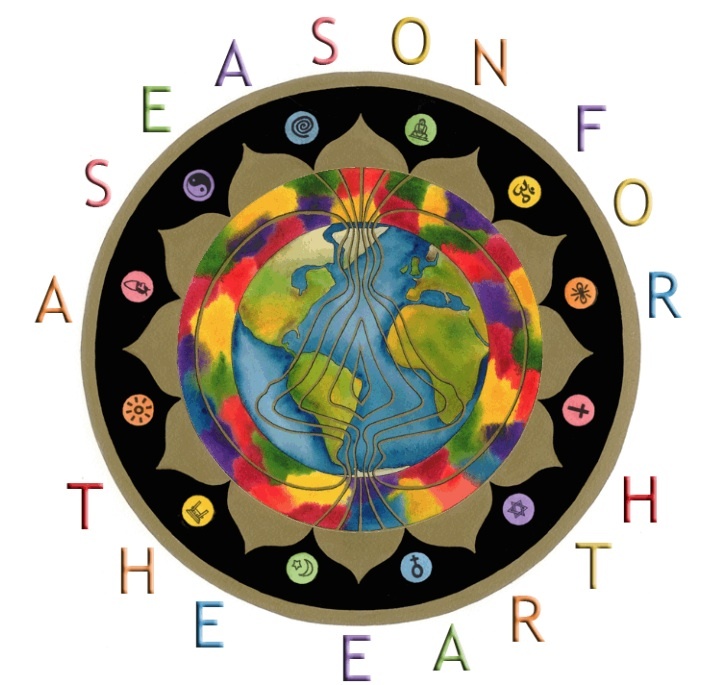 Wendy Craig-Purcell, and Dr. Barbara E. Fields, invites you to participate in the 8th Annual Season for the Earth from April-June 2014. Season for the Earth 2014 offers free programs and web resources to help mold your vision into action that will be of service to to the Earth in your own communities. Featured programs include "DEEP GREEN: Back to Our Roots" and an Earth Day Service for your place of worship, as well as a beautiful Earth Mandala. One Peaceful Africa—Ghana Gathering 2013 was a resounding success! Held at the Methodist Youth Center in Aburi, Ghana from October 25-27, the event attracted emerging leaders 14 to 35 years old from around Western Africa. They came by bus, taxi, car and airplane to reach Aburi, some traveling for two days by bus for this networking opportunity. This project was organized by Children of the Earth, which was established by Dr. Nina Meyerhof in 1990 to empower youth and children locally and globally. 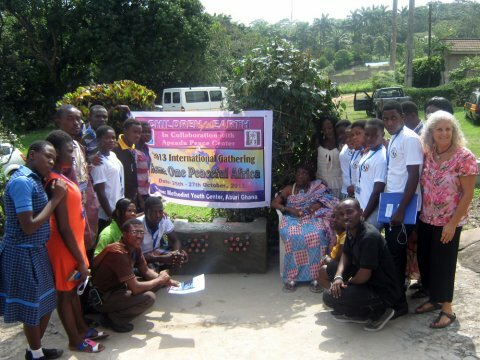 Children of the Earth and the Apeadu Peace Center partnered to present the 3-day conference. Princess Ukaga of CoE Nigeria, Sammy Fianko of CoE Ghana, and Mary Issaku of the Apeadu Peace Center organized and presented the program under the mentorship of Shelley Shane, Program Advisor for Children of the Earth. 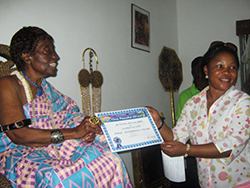 Opening and closing ceremonies were performed by Nana Apeadu, founder of the Apeadu Peace Center. Nana’s speeches to the group offered encouragement and guidance. Next, Princess Ukaga led conference participants in the construction of a bench made from discarded water bottles. In Africa, is still a practice to throw trash on the ground. This project aims to curb that by demonstrating that trash can become treasure in the form of a useful bench. Conference participants filled discarded bottles with trash and dirt. The bottles were then used as “bricks” to create a beautiful bench now located on the grounds of the Apeadu Peace Center. The group is already planning for the next One Peaceful Africa gathering for 2014 in August for the core group and then to coordinate a large NGO gathering to be held in Kenya in 2015. The hope is that these gatherings will create a generation of Peace Warriors in Africa who will create meaningful change. Change is much needed. Just last week, scores of people were killed in Princess’ town with the bombing of a crowded bus station in Nigeria’s capital, Abuja. These emerging leaders engaged in a range of activities and workshops designed to guide young people in personal and social transformation — giving them the opportunity to go deeply inside and then to connect with others in a deeper sense of self and the unity of all of life. The materials center on three areas: 1) Peace, 2) Conflict Resolution and 3) Leadership. The program is based on the Children of the Earth Handbook “Pioneering Spiritual Activism”. The handbook is the culmination of years of work and dedication. Pioneering Spiritual Activism presents the ethics, principles, and values that are the essence of Children of the Earth’s spiritual activism. COE’s mode of Reflect–Connect–Act, provides guidance and structure. The model and techniques in ‘Pioneering Spiritual Activism' have proven effective in guiding youth to create positive change in the world. On Saturday 29 March, the UN system participated widely in the 2014 edition of Earth Hour, a symbolic global initiative organized by the World Wildlife Fund (WWF) encouraging individuals, companies, organizations and governments throughout the world to switch off their lights for one hour. 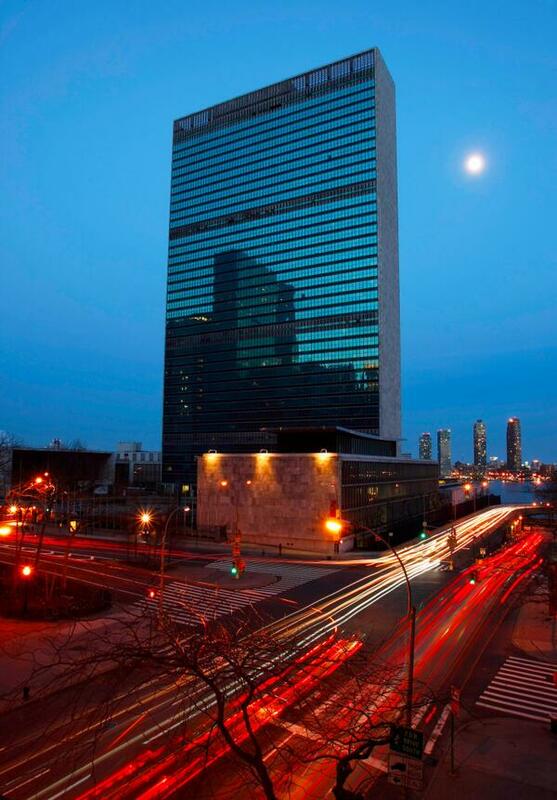 The UN Secretariat in New York City shut its lights down for over three hours. Other participating UN offices worldwide included the UN Office in Geneva, UN Information centres in Ankara, Moscow, Rabat, the UN Office in Tbilisi where a candle-lit live music party was organized, the UN Economic and Social Commission for Asia and the Pacific (ESCAP), and others. In the lead-up to the September Climate Summit Earth Hour allowed the UN System at large to demonstrate its commitment to support action on climate change. Millions of people from at least 150 countries all over the world switched off their lights to celebrate a symbolic holiday, known as Earth Hour, which this year aimed to raise funds for environmental projects. The lights dimmed on Saturday between 1630 GMT and 1730 GMT under the slogan “Use Your Power” in some 7,000 cities all over the world. “It’s a brilliant reminder that together we can make change happen. …It’s a moment to say you’ll do your bit to protect our planet – not just for one hour, but every day,” said a statement on the Earth Hour website at www.earthhour.org. 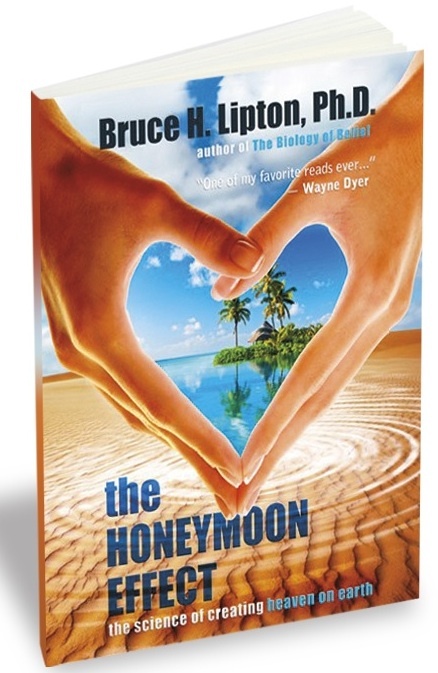 Dr. Bruce Lipton, author of "The Biology of Belief" and co-author of "Spontaneous Evolution," has written "The Honeymoon Effect: the Science of Heaven on Earth" to reveal how to live with heartfelt bliss, robust health, and abundant energy. How can we live this way happily ever after? This book is not just for couples, but also for the "super organism" called humanity that can heal our planet. When Oscar-winning actress Gwyneth Paltrow announced on her blog that she and her husband, Chris Martin of Cold Play, were separating, she entitled her post, "Conscious Uncoupling". She wrote: "We have always conducted our relationship privately, and we hope that as we consciously uncouple and coparent, we will be able to continue in the same manner." The phrase was instantly picked up by all the popular media, including The New York Times. Some of the more astute reporters recognized the concept from the work of Evolutionary Leader Katherine Woodward Thomas. 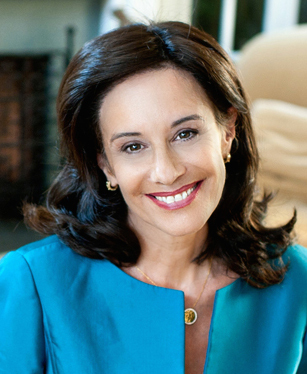 Katherine, whose book, "Calling In The One," became a national best-seller, is a the co-creator of the Calling in The One online course. 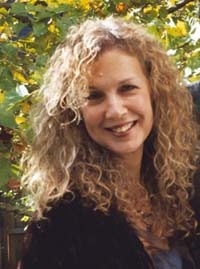 She created Conscious Uncoupling: A 5-Week Program to Release the Trauma of a Breakup, Reclaim Your Power & Reinvent Your Life in 2010 to introduce a new way to complete a romantic relationship in a manner that maintains appreciation and respect, allowing men and women to love and be loved again. 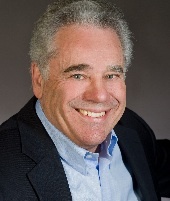 Hear Howard Martin on "Living Your Inspired Life"
Howard Martin of Heart Math and the Global Coherence Initiative, was interviewed by Susan Burrelll of "Your Inspired Life" on March 23, 2014. Howard confirmed scientifically that the heart is the intelligence that not only powers the body and brain but can create coherence in our world. 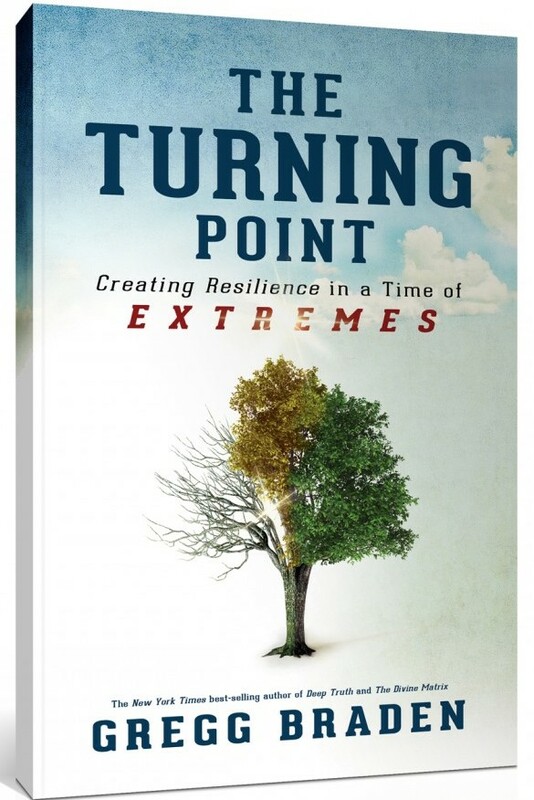 New from Gregg Braden: "The Turning Point"
There's a time when every crisis can become transformation, when simply surviving can become joyous thriving. In our lives that time is The Turning Point. In our world that time is now! In this compelling new work, best-selling author and visionary Gregg Braden merges his expertise in leading-edge science with present-day realities to answer the questions on everyone's minds: What's causing the extremes in our world? What do the global trends mean in our personal lives? How do we make everyday life better for us and our families?Will we choose the Turning Point to the greatest transformation of living and thinking the world has ever seen? "The human family is on a collective journey to awaken and, in the initial phase, our evolutionary task was to separate ourselves from nature and to develop our sense of individuality and empowerment. We have now succeeded so well and become so empowered that we are disrupting the climate, depleting precious resources, spreading weapons of mass destruction, and overpopulating the Earth. We are hitting an evolutionary wall and being pushed by necessity—and pulled by opportunity—to make a great turn in our evolutionary journey. How do we find our way back to the living universe? How can we visualize ourselves at home in the universe?" 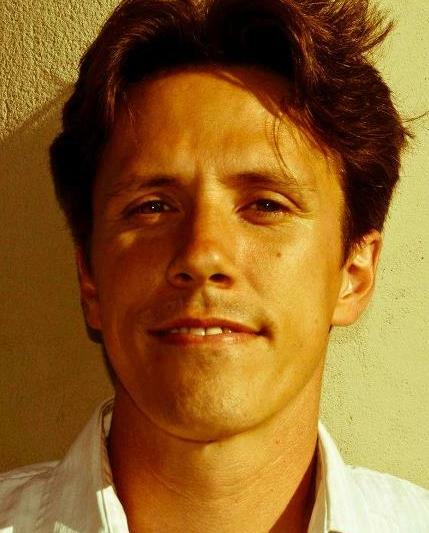 Duane will give a presentation on "Deep Big History: A Living Systems Perspective" at the International Big History Association conference from August 6-10 at Dominican University of California. See conference information HERE. 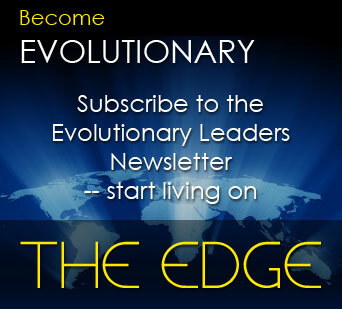 Link to inspiring quotes from Evolutionary Leaders HERE. Humanity’s Team partners with The Association for Global New Thought and The Foundation for Conscious Evolution to bring you monthly conference calls focusing on Oneness in the 12 Spheres of Life. Barbara Marx Hubbard, Barbara Fields and special guest Ocean Robbins joined in this very compelling discussion on the Environment and Oneness on Thursday, April 10th. 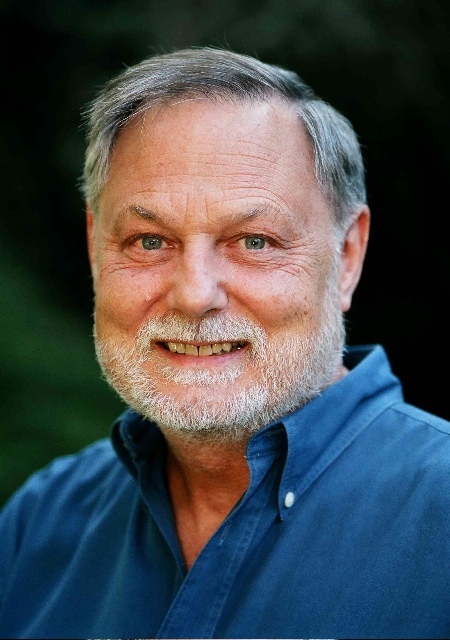 Evolutionary Leader Terry Patten’s teleseminar series, “Beyond Awakening,” is a groundbreaking series of conversations with today’s most dynamic spiritual teachers. On Sunday, April 13, Terry held a discussion with Steve McIntosh and fellow Evolutionary Leader Carter Phipps, co-founders of the integral political think tank, The Institute for Cultural Evolution (“ICE”). Carter and Steve discussed their upcoming campaign to help ameliorate political polarization within the American electorate. This occasion marked the release of their new whitepaper, Depolarizing the American Mind, which examines the causes of polarization and describes evolutionary principles for working with “existential oppositions” such as the liberal-conservative polarity. These principles indicate that each side of this relatively permanent polarity needs the other for its own further and fuller development. to the April podcast by the World Business Academy President and Evolutionary Leader Rinaldo S. Brutoco and Academy Executive Director Matt Renner. They speak with Deb Nelson, Executive Director of the Social Venture Network, which is on the cutting edge of the movement that is waking the investing world up to the massive, stranded asset crisis facing the fossil fuel industry - a situation with the potential to move entire economies and to force action on climate change. This is an interview that should not be missed. 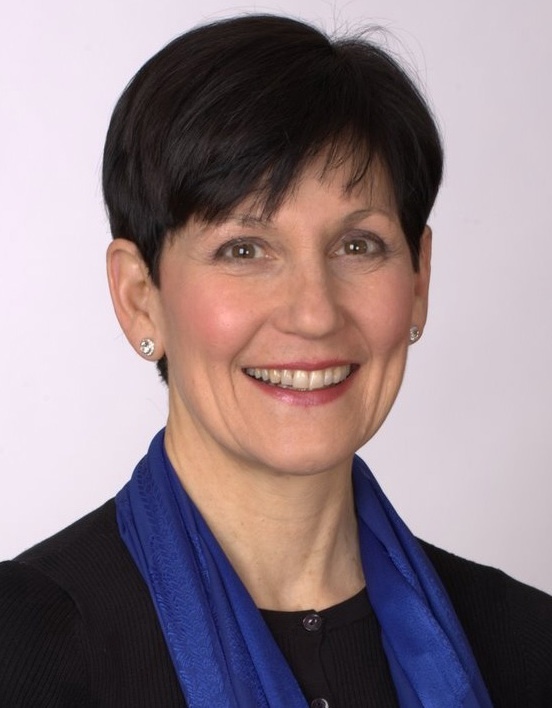 Dr. Jean Houston was interviewed by host Gordon McGregor on Chopra Radio to discuss the powerful role of archetypes in creating our future. 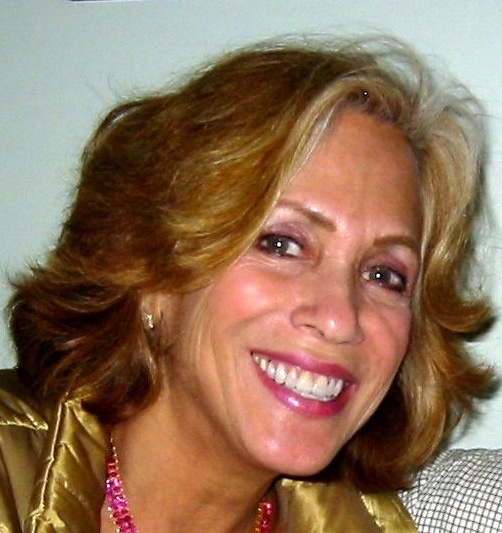 She explains how we can "gain the courage to live mythically, to live magically, to live magnificently, and to help heal our world" by harnessing these energies. Jean also discusses her work with the late, great Joseph Campbell, and many entertaining insights from her book, The Wizard of Us. Deepak Chopra invited Jean to join him in leading the "Summoning the Sacred - Awaken the Divine in You" workshop from May 28-June 1, 2014 in Sedona, Arizona. GenUp is thrilled to be launching their brand new Thrive Fellows Program, a year-long "leadership-in-action" journey that supports a diverse cohort of young leaders in designing and implementing social innovation projectstoward a thriving, just, and sustainable world. Generation Waking Up was founded by Evolutionary Leader Joshua Gorman to inspire and mobilize young people to be 21st century agents of change. Apply or nominate a dynamic young leader at www.generationwakingup.org/thrivefellows. You don’t need to “believe” in God. It isn’t even appropriate, really. When you think about it, it’s a little like “believing in” beauty, isn’t it? Belief is beside the point! On that basis, it follows naturally to engage the spiritual practice of communion with that graceful Mystery, or God. Simply open to the Mystery. Surrender yourself to the radiant transcendental Consciousness that pervades and animates everything, everyone, and every moment. Love and receive that Mystery. If the word has positive associations for you, go ahead and call it “God.” And if that word is more complicated for you, just call it “the Mystery.” However you relate to it, it’s not about “believing” in God. The Divine is a Presence you will come to know. That Presence is only God. If you will open yourself from the heart and surrender yourself into that all-pervading Presence, God will transform your consciousness. You will, quite naturally, begin to trust. You will begin to trust Life itself; you’ll begin to trust the process of your own life. You will come to know God’s universal goodness, and God’s personal love for you—not as an idea, but as a fundamental grateful gladness felt at the heart. This can be your own authentic truth, just on the basis of an intuition of the goodness and beauty of existence—all without a shred of “belief”! Then you will gradually begin to notice the Divine living you, breathing you, and doing its work in this world through you. Last week, I was reading about a remarkable study carried out by Harvard University, as detailed in Dr. Joe Dispenza’s fascinating new book, You Are the Placebo. In 1981, eight men in their 70s and 80s attended a five-day retreat at a monastery in Peterborough, New Hampshire, organized by Harvard University, where they were asked to pretend that they were 22 years younger than their present age. When they got there, they discovered constant reminders of two decades previously: old issues of Life magazine and the Saturday Evening Post, shows on TV that had been popular in the late 50s, radios playing Perry Como and Nat King Cole. The men were asked to discuss events that had been current two decades before: Fidel Castro’s sudden ascendancy to power in Cuba, Nikita Khrushchev’s stand-off with Eisenhower in a US meeting, homeruns hit by Mickey Mantle and knock-out punches by Floyd Patterson. This carried on throughout the five days of the retreat. After the retreat ended, the researchers took the same physiological measurements they’d carried out at start of the study and discovered that the men actually had grown ‘taller’; they showed improved height, weight and gait, their postured straightened, their joints had become more flexible, their hearing, eyesight, grip strength, memory and general mental cognition had all improved. In fact, by the end of the five days, many of these octogenarians had given up their canes and were playing touch football. The conventional view is that our genetic destiny is fixed and inherent in our DNA, which selectively turn on and off certain genes. These genetic instructions make copies of themselves—as messenger ribonucleic acid (mRNA) molecules, which choose from an alphabet of amino acids to create the approximately 150,000 proteins in the body that carry out its myriad functions. Cellular informational commands have always been thought to flow in a single direction—from DNA and mRNA to the selected combinations of amino acids and assemblies of proteins. Until recently, scientists maintained that gene activity was a closed-off process that took place independently of the environment. As new research decisively demonstrates, genes, far from being the central controller, exist purely as potentials— to be activated (or not) by signals outside the body, much as a piano is silent until someone sits down to play it. An environmental signal of some kind outside the cell alerts the DNA that a particular protein product is needed, activating a particular genetic expression pattern. Genes work as a collective and get turned on, turned off or modified by our environment: what we eat, who we surround ourselves with, and how we lead our lives. In fact, new evidence shows that gene expression changes from moment to moment, according to the food you eat, the water you drink the emotional climate within your family, the state of your relationships, your sense of fulfilment in life—the sum total of how you live your life. For instance, heart specialist Dr. Dean Ornish discovered that a group of men with prostate cancer were able to change more than 500 genes relating to tumour suppression and promotion simply by altering their diet and lifestyle. But the thoughts you think may have the greatest influence of all in turning our genetic coding on and off. One Japanese study of diabetics discovered that they ‘turned on’ some 39 genes, 14 of them related to natural killer cell activity, just by watching one hour-long comedy video. One of the greatest of environmental switches may be the quality of our social Bond. A group of psychologists at Northwestern University were examining the effect of social grouping on genetically inherited predisposition to depression. In a nutshell, they found that Westerners define themselves by their individuality, while Easterners in collectivistic societies define themselves by the extent of their acceptance within a group, and place higher value on social harmony rather than individuality. When studying the population of East Asia the research team made an unexpected discovery: the tighter knit the population, the higher percentage of the people who carried the gene for depression. According to the current genetic theory of depression, correspondingly high levels of depression should exist among these populations. Instead, the researchers found the opposite: among these highly susceptible populations, the actual prevalence of depression was significantly lower than that of Western Europe or America. The expectation of social support in these highly collectivist cultures seemed to buffer people from any environmental stressors that should have triggered depression. Even genetically inherited depression could be controlled by a social switch. So my next question is: if our thoughts can make us younger, or improve our diabetes or even prevent us from getting depressed, can the thoughts outside ourself heal us? What happens when a group of people are ‘intending’ for us to heal? You and I will find the answer to this question after April 25, when we’ll be running our next Intention Experiment: The Healing Intention Experiment. And keep reading these pages, when I’ll give you more information about signing in.